A barcode printer is a computer periphera designed to produce barcode labels which can be attached to other objects you wish to put label to. Barcode printers uses two different printing process either direct thermal or thermal transfer techniques to apply ink to labels. Thermal transfer techniques use ink ribbons to apply the barcode directly into the label, while direct thermal transfer printers use heat to blacken the barcode onto the label. While both techniques are effective, barcode labels or stickers produced from direct thermal printers are more likely to become unreadable if exposed to certain elements such as heat, sunlight, and chemicals, and therefore don’t have the longevity and quality print of barcodes made with thermal transfer. Because of the longevity of the barcodes produced by the thermal transfer printers, as well as their overall printing quality and higher expense of production materials, they tend to be more costly than direct thermal printers. Barcode printers can be used for small business,large industrial use, and are most commonly used for shipping products. A Barcode reader or Barcode scanner is an electronic device which is able to scan, capture and decodeinformations contained in barcodes. These devices use optical technology such as infrared light to illuminate the bracode for proper reading. Some readers use an integrated decoder (either integrated or external) others have one unit for reading the barcode, and another one to decode the barcode. 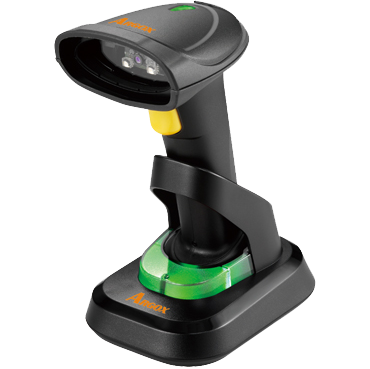 A barcode reader,is also reffered as a price scanner, barcode scanner or (POS) point-of-sale scanner, the characteristics of this device is a hand-held or stationary input device used to capture and read informations. A barcode reader consists of the following compnents a scanner , a decoder (either built-in or external), and a cable used to connect the reader with a computer. Because a barcode reader merely captures, scan and translates the barcode into its corresponding numbers and letters, the data must be conveyed to a computer so that a software application can make sense and decode the data.